CFS Fire Protection, Inc. delivers Professional Fire Protective Services, Fire Systems Equipment and all the Active Fire Protection (AFP) Services a Business needs to maintain their Fire Code Compliance throughout Northern California, down the Coast to Carmel, from Modesto to Sacramento, up to Redding and east to South Lake Tahoe California. We are optimally established in the surrounding cities of Aptos, Cameron Park, Carmichael, Citrus Heights, Corralitos, Davis, El Dorado Hills, Elk Grove, Fair Oaks, Folsom, Gilroy, Gold River, Granite Bay, Lathrop, Orangevale, Rancho Cordova, Redding, Rocklin, Roseville, Sacramento, Salinas, San Jose, Soquel, West Sacramento, Woodland, Vacaville, Valley Springs and Yuba City in the Central Valley and Petaluma, Santa Rosa and Walnut Creek in the Bay Area including all the cities in-between. If your Business is located in Northern California, Just Give Us a Call (866) 584-3473 to get All Your Fire Protection Service Needs Covered! Do You Have A New Business Needing A Professional Fire Protection Service? New Customers Can Get Their Initial Fire Code Compliance Inspection and Estimate for FREE! Call (866) 584-3473 to Learn How New Customers Save Money with CFS Fire Protection, Inc.! We are One Phone Call Away from providing Your Business the Best Professional Fire Protection Services in Northern California! CFS Fire Protection, Inc. provides a Full Suite of Fire Protective Services including the Professional Installation of Commercial RestaurantKitchen Fire Suppression Equipment,Sprinkler Fire Suppression Systems,Fire Extinguishers,Fire Hydrants,Emergency Lighting Fixtures and all their necessary Fire Equipment Replacement Parts and Accessories. We conduct Professional Annual Fire Extinguisher Inspections,NFPA-10 Six (6) Year Teardown Fire Extinguisher Maintenance,NFPA-10 Twelve (12) Year Hydrostatic Fire Extinguisher Testing as well as the After Use / Discharge Inspections and Fire Extinguisher Refill & Recharge Services covering all your Fire Extinguisher Compliance Service needs. We provide Onsite and Live Fire Demonstration Fire Extinguisher Equipment Training Courses customizable to the unique requirements of your Business and Fire Extinguisher Equipment. 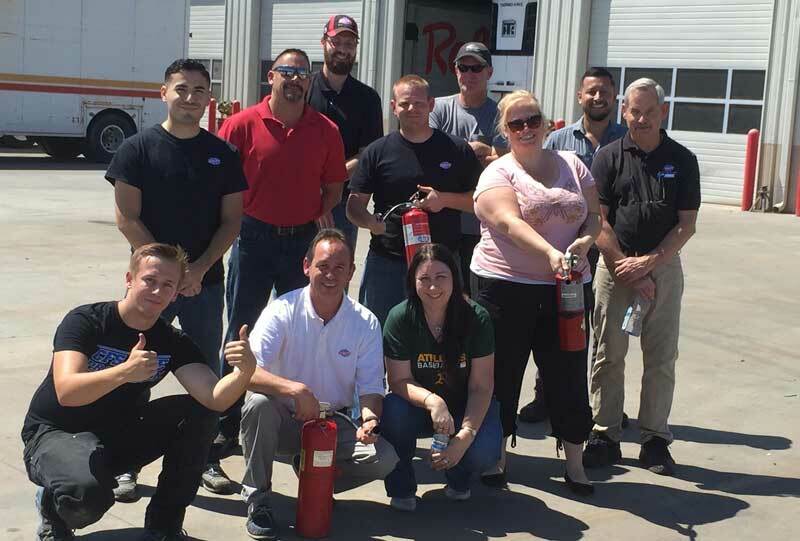 Our Onsite Live Fire Demonstration and hands on Fire Extinguisher Training is designed to prepare your Staff to effectively and properly use your Fire Extinguisher Equipment. Call (866) 584-3473 for more information about our Onsite Fire Extinguisher Training Course and Scheduling. Once we know what Fire Extinguishing Equipment your Business is using and the Facility your Business is in, we will create the Fire Extinguisher Training Course specifically covering your Staffs Fire Extinguisher Training Requirements. Is Your Staff Properly Trained to Use Your Fire Extinguisher Equipment? If Not, Schedule Our On-Site Live Fire Demonstration Extinguisher & Systems Training Today! Call (866) 584-3473 for a FREE Consultation and to Schedule Your Fire Extinguisher Training. CFS Fire Protection, Inc. not only has the Fire Extinguishers, Fire Suppression Systems Equipment and Professional Fire Protection Services your business needs to get and maintain its Fire Code Compliance, we also can provide several configurations and sizes of FIrst Aid Kits, First Aid Equipment and First Aid Kit Restocking Supplies. We also provide and install items like the First Aid Kit Supply Cabinets to securely hold the First Aid Kits and Equipment until they are needed. Just give us a Call (866) 584-3473 to let us know what you need and we will come out in take care of all your First Aid Kit and Supply needs. CFS Fire Protection, Inc. has Expertly Trained and Licensed Fire Protection Service Technicians who are available to fulfill all Your Commercial Fire Protection Service needs. Give us a call at (866) 584-3473 if you have any questions about our Professional Fire Protection Services and for Scheduling our Services. When was Your Last Fire Extinguisher & Fire Suppression Systems Inspection? Not Sure, Be Proactive and Get Your Fire Extinguishers & Fire Suppression Systems Inspected Today! Call (866) 584-3473 for a FREE Consultation and to Schedule a Fire Code Compliance Inspection. In Urgent and "Life Threatening Situations", you should immediately call your Local Authorities. Services related Emergencies, click "Emergency Services" to Email or Call (866) 584-3473. Be sure to Text us specific details and send us Photos and Short Videos about issues surrounding the Emergency Situation. Your Photos and Short Videos give us more insight into the details often missed an email, a text and even in conversation. The more information we have, the better we can develop solutions to get you back to running Your Business and not worrying about Fire Code Compliance issues. This Portable Extinguisher "P.A.S.S." Safety Training Video Course has Helpful Information for Business Owners and Staff of Proper Fire Extinguisher Use. The KITCHEN KNIGHT II Restaurant Fire Suppression System is a Pre-Engineered Appliance for Ventilating Exhaust Hood and Duct Grease Fires. Viking Wet Pipe Alarm Check Valve System Functionality Test of the System Reset Procedure ensures it is Operating as designed.